We will meet on Fridays after school at City Park from 4-5PM. Equipment handout will be Saturday Dec 8th. Our scheduled Fridays: Jan.4th, Jan, 11th, Jan. 18th, Jan. 25th. Feb. 1, Feb. 8th, Feb. 15th and March 1st. We will skip Friday, Feb. 22nd for the Birkie Events. 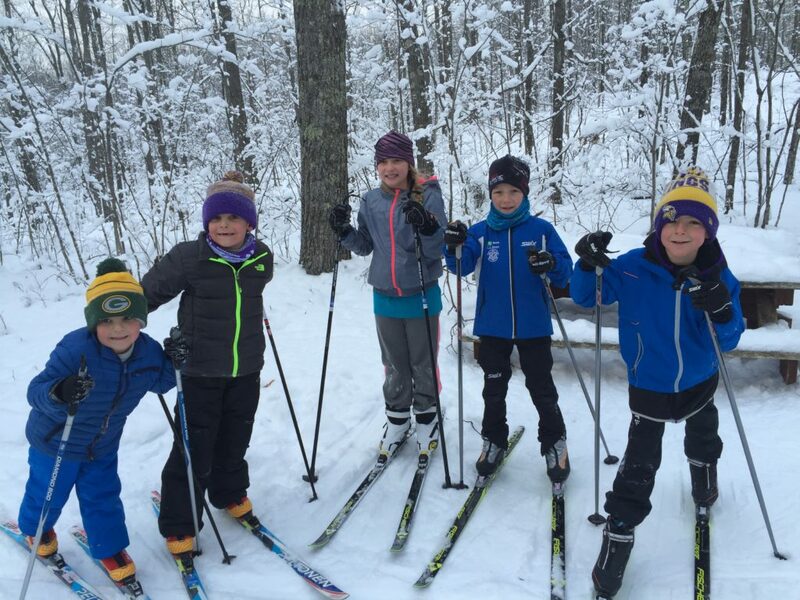 Ski rentals for children will be available again this year – it is $15.00 for skis, boots, and poles (SORRY, SOLD OUT FOR 2018-19 SEASON). We do not have adult ski equipment to rent. There ski program will cost $20 to help cover costs for snacks, lesson(s) equipment and incidentals. We are run by parents/volunteers to keep the cost as low as possible . Rails on Trails/Spooner Glide & Stride ski club grooms the ski trail and if you would like to support the work, consider joining the club. Parents/volunteers are always needed – please let me know if you will be able to ski with us this year and what age group you would prefer. Please contact Megan Popp if you have any questions.